With FirstWatch Collaborate it will be easy to discuss ideas, share solutions, explore challenges, and more with FirstWatch customers from across the country. You’ll be able to share files, ask questions, share your expertise and more. Would you like to learn how to add a user, make Excel Pivot tables sing, or build an effective quality improvement system? 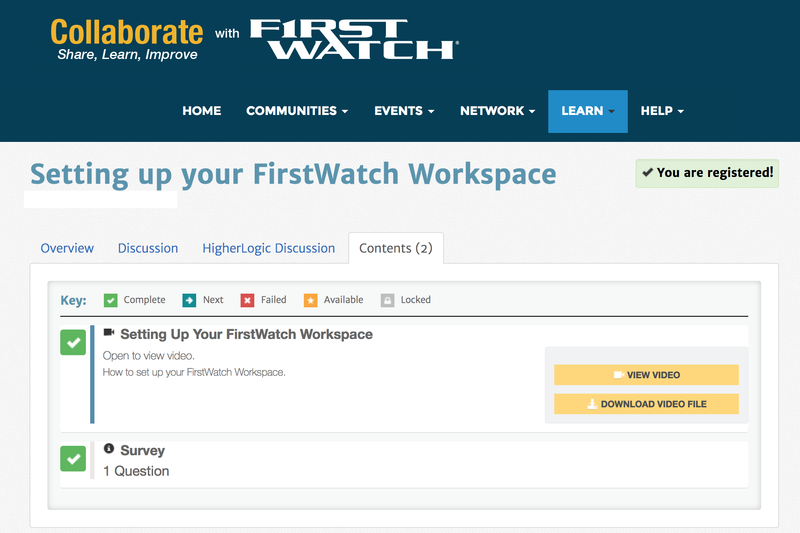 Check out the learning part of FirstWatch Collaborate! We’ve just started building a library of classes and videos to help you use FirstWatch more effectively and learn leadership principles. We will be adding new things every month.